Suresh Raina blazed his way to a 43-ball 90 and powered Chennai Super Kings to the comfortable win, keeping the Indian outfit's semifinal prospects alive. The Super Kings notched up an imposing 242 for six and then saw off Dolphins' early onslaught to bowl them out for 188 in 20 overs. Dhoni said: "We batted really well, the wicket remained quite the same, credit to Raina and McCullum for a great start, it was important to utilise all our resources so we went really hard. "With out bowling struggling slightly it was important to get those 15-20 extra runs, even if we go down trying to get those runs." 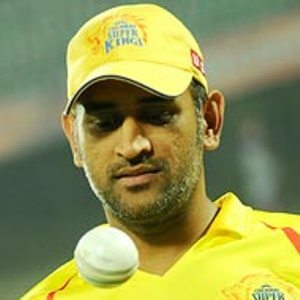 This is CSK's first win of the tournament following the defeat to Kolkata Knight Riders in their opening game. Man of the Match Raina hoped to continue in same vein in the coming matches. "When you have Smith and Baz, if there's a good start then you can play positively. It's a good start for us, looking forward to carrying on from here," the left-handed batsman, who hit eight sixes and three boundaries during his explosive knock, said. Mohit Sharma and Dwayne Bravo put the brakes on Dolphins' scoring when the South African side was batting. Dolphins skipper Morne van Wyk said Bravo's "spell was the game breaker". He added that his team was "well in it until he came on to bowl and it was a great exhibition of skill".